Arnott's aftermarket air springs for Audi C7 Chassis applications are built with ContiTech air sleeves and machined aluminum top mounts. Arnott's new rear air springs, A-3294 (Rear Right) and A-3295 (Rear Left), fit C7 Chassis 2012-2018 Audi A6/A6 Quattro, 2013-2018 S6 & S7 and 2014-2018 RS7 models with air suspension. The new air springs feature a ContiTech OE-quality air sleeve, CNC machined aluminum top and piston, heavy-duty crimping rings and protective dust cover. The Arnott aftermarket Audi air springs are designed, assembled and tested in the U.S. and are backed by Arnott’s industry-leading warranty. For more information on the company’s extensive line of affordable, high quality, air suspension replacement products for Audi applications including the A8, A6, Allroad Quattro, and Q7 SUV visit www.arnottindustries.com. This entry was posted in Arnott Industries on March 28, 2019 by Doug Taylor. Arnott, the industry leader in aftermarket air suspension products for Porsche®, has introduced new aftermarket replacement air springs for the 2015-2018 Porsche Macan®. Arnott's new rear air springs, A-3327 (Rear Right) and A-3328 (Rear Left), for the 2015-2018 Porsche Macan with Auto Leveling (95B Chassis) feature a ContiTech OE-quality air sleeve, CNC machined aluminum top, heavy-duty crimping rings and protective dust cover. 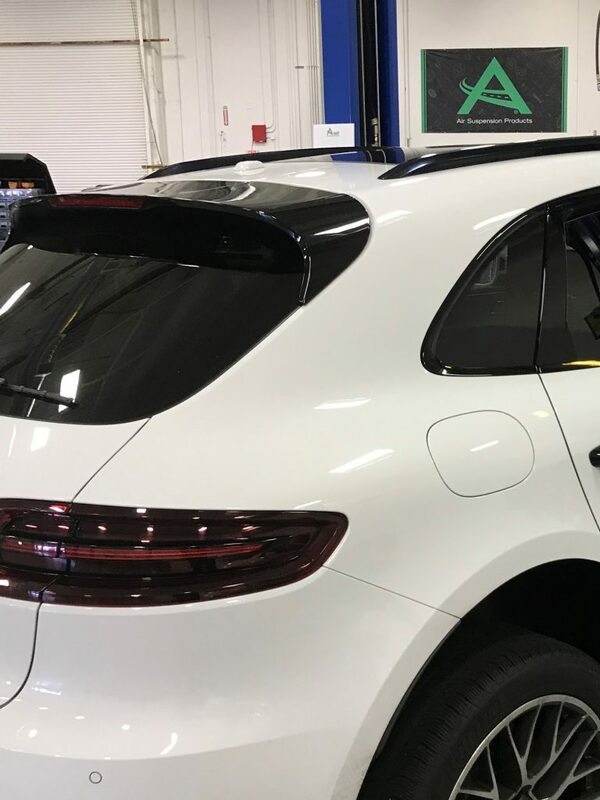 The Arnott replacement air springs, which fit the GTS Standard and Sport Edition, Turbo and Macan S, all with air suspension, are designed, assembled and tested in the U.S.
Arnott's new replacement Porsche Macan air springs are backed by Arnott’s industry-leading warranty. For more information on the company’s extensive line of affordable, high-quality air suspension products for more than 150 automotive and motorcycle applications, visit www.arnottindustries.com. This entry was posted in Arnott Industries on March 14, 2019 by Doug Taylor. 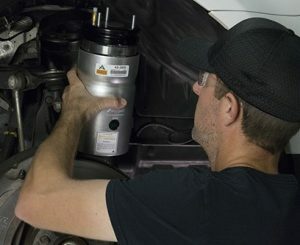 Arnott, the industry leader in aftermarket air suspension products, has introduced an aftermarket air suspension compressor for the 2004-2010 Infiniti QX56 and 2004-2015 Nissan Armada. The new compressor is Arnott’s first aftermarket replacement air suspension product for Infiniti / Nissan applications. Arnott's air suspension compressor P-3277, which fits the 2004-2010 Infiniti QX56 (JA60 Chassis) and 2004-2015 Nissan Armada (WA60 Chassis), is a direct replacement for the original OE compressor. The Arnott compressor is manufactured using quality components and is built to OE specifications. This maintenance-free compressor is extensively tested by Arnott engineers to ensure durability along with OE-like performance, functionality and fit. This compressor is assembled with a vehicle-specific support bracket and includes all mounting hardware for a fast installation. This aftermarket replacement Infiniti / Nissan air suspension compressor comes with an integrated air dryer unit, valve block, thermal overload protection, vibration isolator kit, quick connect air fitting and an exact fit electrical connector. The Arnott Infiniti / Nissan air suspension compressor is backed by Arnott's industry leading warranty. For more information on the company’s extensive line of affordable, high quality, air suspension replacement products now available for more than 150 automotive and motorcycle applications, now including Infinity and Nissan, visit www.arnottindustries.com. This entry was posted in Arnott Industries on March 5, 2019 by Doug Taylor. 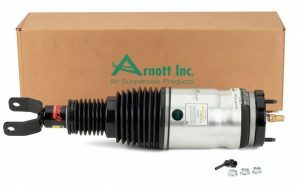 Arnott, the industry leader in aftermarket air suspension products for Mercedes-Benz®, has introduced a new, aftermarket air suspension compressor for the 2012-2016 Mercedes-Benz ML-Class and 2013-2016 GL-Class. The Arnott Air Suspension Compressor P-3258, which fits the Mercedes-Benz 2012-2016 ML-Class (W166 Chassis) and 2013-2016 GL-Class (X166 Chassis), is a direct replacement for the original OE compressor from Mercedes-Benz. The Arnott compressor is manufactured using quality components and is built to OE specifications. This maintenance-free compressor is extensively tested by Arnott engineers to ensure durability along with OE-like performance, functionality and fit. This compressor is assembled with vehicle-specific mounting brackets and reuses the factory isolators and mounting hardware for fast installation. 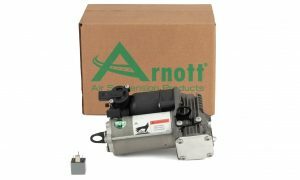 Arnott’s replacement Mercedes compressor comes with an integrated air dryer unit, new relay, thermal overload protection, quick connect air fitting, intake hose, and mates perfectly to the OE electrical connectors. The aftermarket Mercedes-Benz air suspension compressor is backed by Arnott's industry-leading warranty. For more information on the company’s extensive line of affordable, high-quality, air suspension replacement products now available for more than 150 automotive and motorcycle applications, including extensive coverage of Mercedes-Benz vehicles visit www.arnottindustries.com. This entry was posted in Arnott Industries on February 28, 2019 by Doug Taylor. 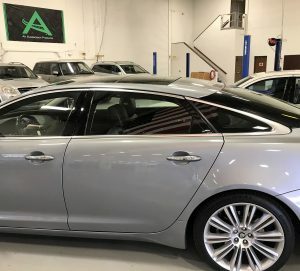 Arnott, the industry leader in aftermarket air suspension products for Jaguar, has introduced a new, Arnott-engineered, aftermarket air suspension strut for the rear of the 2011-2018 Jaguar XJ. The Arnott-designed new rear air strut AS-3234 fits the 2011-2018 Jaguar XJ (X351 Chassis) equipped with both standard or long wheel base and both rear or all-wheel drive vehicles. Arnott designed, tested, and assembles these new aftermarket X351 chassis Jaguar rear air struts in its Florida facility. Arnott's strut, which is new, and not remanufactured, bypasses Jaguar's active damping functionality and features a custom-tuned premium Eibach monotube shock absorber precisely valved to ride like the OE. The universal Arnott strut, which fits both the left and right side, is built with Tier 1 components including a cross-cord multi-ply ContiTech air bladder, heavy duty crimping rings, polyurethane bump stop, and O-Rings. 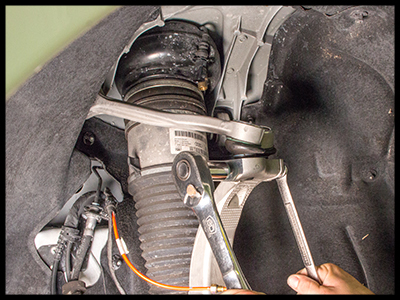 Each replacement Jaguar air strut is backed by Arnott's industry-leading warranty. For more information on the company’s extensive line of affordable, high quality, air suspension replacement products for Jaguar and more than other 150 automotive and motorcycle applications, visit www.arnottindustries.com. This entry was posted in Arnott Industries on February 26, 2019 by Doug Taylor. Arnott, the industry leader in aftermarket air suspension products for luxury vehicles including Bentley, has introduced new, Arnott-engineered, aftermarket air suspension struts for the front of the 2003-2019 Bentley Continental GT, 2006-2019 Flying Spur and 2003-2006 Volkswagen Phaeton. AS-3127 (front right) and AS-3128 (front left) replace the OE struts and feature a premium Eibach shock absorber precisely valved to ride like the OE. The new struts were designed with an elongated piston, which provides an exceptional ride without requiring the OE reservoir. The Arnott struts are built with Tier 1 components including a cross-cord multi-ply air bladder from ContiTech and a CNC-machined top mount made from aircraft-quality aluminum. This new air strut is designed and assembled in the USA with Arnott's long-lasting seals, O-rings, polyurethane bump stop, heavy-duty crimping rings, quick connect air fitting and check valve along with a dust boot and aluminum can to protect the strut. Each air strut for the Bentley and Phaeton is backed by Arnott's industry leading warranty. For more information on the company’s extensive line of affordable, high-quality, air suspension replacement products for the Bentley and more than 150 other automotive and motorcycle applications, visit www.arnottindustries.com. This entry was posted in Arnott Industries on February 21, 2019 by Doug Taylor. · Arnott replacement air springs are designed, assembled and tested in the U.S.
Merritt Island, Fla. – Arnott, the industry leader in aftermarket air suspension products for Land Rover, has introduced new aftermarket replacement air springs for the 2013-2018 Range Rover and 2014-2018 Range Rover Sport. Arnott's new rear air springs A-3025 for the 2013-2018 Range Rover L405 chassis and A-3027 for the 2014-2018 Range Rover Sport L494 chassis feature an OE quality air sleeve, heavy-duty crimping rings and high-impact plastic resin top and bottom pistons. 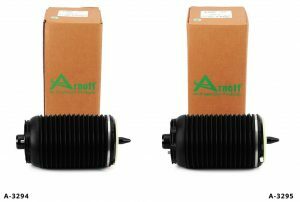 The Arnott replacement air springs are designed, assembled and tested in the U.S.
Arnott's new universal Range Rover air springs fit either the left or right side of the vehicle and are backed by Arnott’s industry leading warranty. This entry was posted in Arnott Industries on February 12, 2019 by Doug Taylor. This entry was posted in Arnott Industries on February 5, 2019 by Doug Taylor. This entry was posted in Arnott Industries on January 22, 2019 by Doug Taylor. A shop should inspect the vehicle’s air springs and air struts with every visit after about 70,000 miles. Look for excessive oil leaking from and on the shock portion of the strut, which may indicate a failing damper. 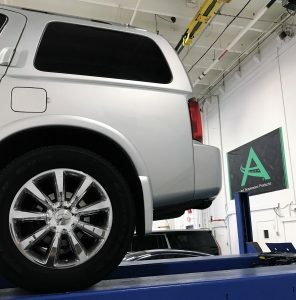 Be aware that uneven tire wear may not only indicate an alignment issue but may be due to an air suspension problem. Look for tiny cracks on the air spring, particularly around where the bag may fold upon itself. If these cracks are developing, use the soap and water spray test. A mixture of 1 tablespoon of dish soap to 1 quart of water, sprayed from an all-purpose spray bottle, can be used to detect a leak by looking for soap bubbles. A clean rubber air spring will extend the life of the bladder. By spraying the air spring with soap and water to test the air spring for leaks you will loosen debris, road grime and oils. Hosing off the soap will help clean the spring which may extend the rubber's life. Look for rub marks on the air spring or on any visible air lines. Rubbing may come from aggressive driving, driving over rough terrain or if parts – including air lines and air line fasteners – are loose. The air suspension compressor’s dryer should be replaced each time an air spring is replaced, if possible. A leaking air spring may allow moisture to enter the system, causing damage to the system. A leaking air spring may also cause the compressor to overwork and eventually burn out. And if the vehicle comes in with a dashboard suspension warning light or the compressor is not operating, check the air suspension relay. When replacing an inoperative compressor, it is vital that the installer perform the soapy water test to look for the leak that caused the original problem. Most commonly the leak is on the air spring, but it could also be due to a loose or failing air line fitting on the spring or strut, a valve block, an air tank reservoir or compressor. In addition, be sure to replace the air suspension fuses and compressor relay. To read the entire article - Click Here. This entry was posted in Arnott Industries on January 15, 2019 by Doug Taylor.